Little Samuel Allison was born yesterday at 2:37pm. 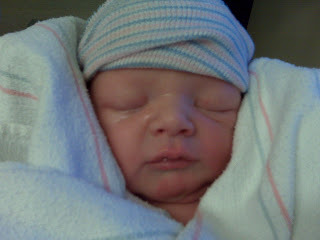 He weighed 6lbs 10oz (not bad for being 10 days early) and was 20" long. Here is a quick picture of him. I'll post more once I convert all the RAW formatted photos to something more web friendly.